Comedic actor Kevin Hart takes the funny business very seriously. Since his debut as a stand-up comedian in 1998, he has served as a writer and executive producer on his live stand-up performances I’m a Grown Little Man, Seriously Funny, Laugh at My Pain, and Let Me Explain. The 2011 film release of Laugh at My Pain pulled in nearly $8 million ($15 million total with DVD sales) and secured the No. 7 spot on the list of highest grossing stand-up comedy concert movies of all time. Not a bad take considering it cost $750,000 to make and appeared on just under 300 AMC movie screens (the film bypassed Hollywood studios, going straight into theaters). Let Me Explain grossed $32.3 million worldwide on 1,000 screens and on a $2 million production budget, falling $20 million short of the record breaking $50.5 million reigning comedy concert box office holder, Eddie Murphy’s Raw. Hart attributes a big part of the film’s success to an aggressive targeted online marketing campaign. He has 13.2 million Facebook fans and 10.3 million Twitter followers. “This model works when you have tons of fans/followers on social media sites,â€ he told BLACK ENTERPRISE. Hart, 34, says he is following in the footsteps of entertainers who write, produce, direct, star in, and own their material. He controls production, marketing, and distribution. RELATED: Do You Feel Kevin Hart is Overexposed? Now in its third season his hit series on BET, Real Husbands of Hollywood, is scheduled to debut later this year. It was first introduced as a series of skits during the BET Awards in 2011. Thanks to the success of the show and Hart’s growing Hollywood clout, his ex-wife Torrei, is getting her own faux reality show. While some might refer to Hart as an overnight Hollywood wonder, the 34-year-old actor and comedian has to disagree. After working for 18 years in the industry and filming three stand-up comedy specials, he believes it was just a matter of his hard work paying off. 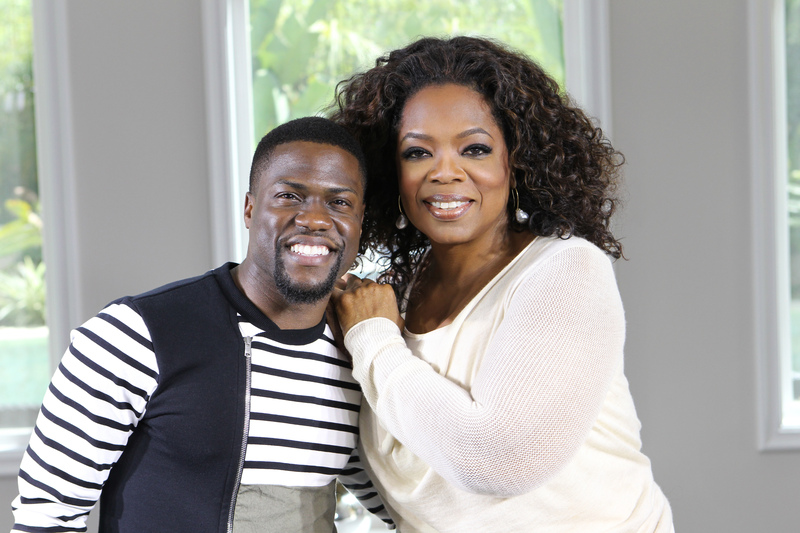 On the heels of his box-office hits and recent NAACP Image Award for Entertainer of the Year, Hart talked to Oprah Winfrey about his skyrocketing career, his comedic influences and how reaching his fans through social media was a vital part of his success as he made his way up in the industry. Hart also opens up about raising his children with his ex-wife, the support his mother gave him when he was first starting out and how he learned to forgive his father. For fans who missed this candid conversation on “Oprah Primeâ€ which aired on OWN, click Here to view clips from the show.